The King and Queen are being accompanied on their visit by Norwegian Minister of Foreign Affairs Ms Ine Eriksen Søreide and Minister of Trade and Industry Mr Torbjørn Røe Isaksen. The delegation also includes over 300 representatives of Norwegian trade and industry, the largest Norwegian business delegation ever on a State Visit. The first days of the visit will be spent in the city of Dunhuang, in China’s north-western province of Gansu. Surrounded by sand dunes, Dunhuang is an oasis between the Taklamakan Desert and the Gobi Desert. 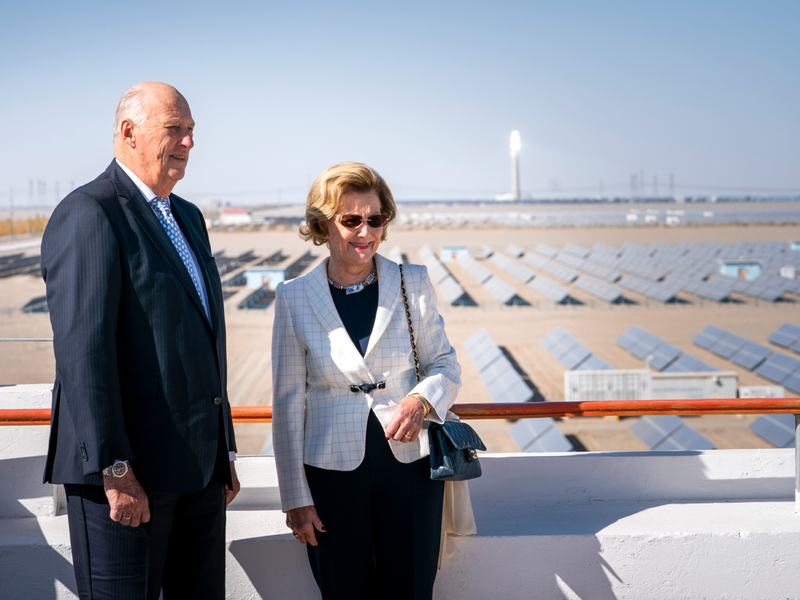 Few places in China get more sunshine, and today the King and Queen had the opportunity to visit the city’s huge solar power plant. 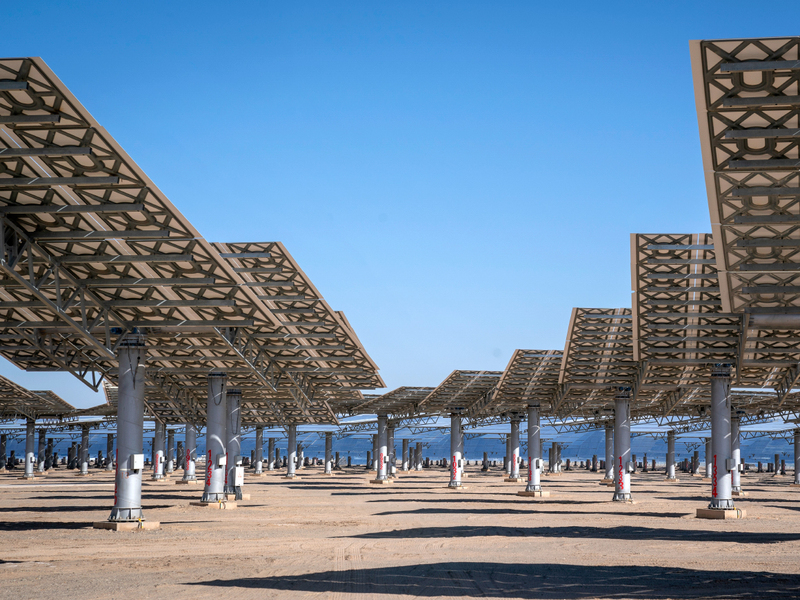 The Gansu Dunhuang Solar Park was China’s first large-scale solar power plant when it opened in 2010. 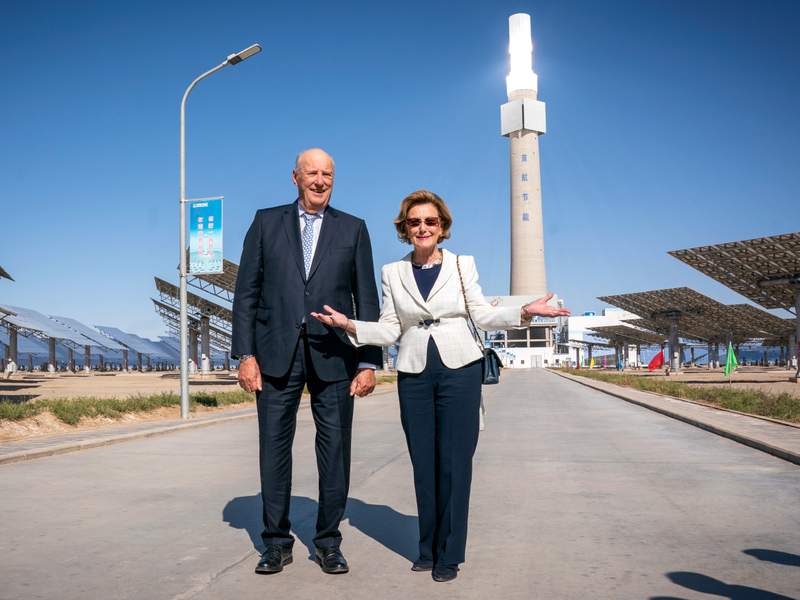 It is the first facility in China or Asia to generate energy nonstop using solar energy and a molten salt reactor. The plant supplies the electricity needs of 200 000 people. Coal remains a very important source of energy in China, but the country is investing heavily in renewable energy and environment-friendly technological solutions. In 2017, China alone accounted for over half of all solar power capacity expansion, and the country is taking a leading role in global efforts to combat climate change. If the world as a whole is to achieve the UN Sustainable Development Goals, it is critical that China, with its 1.4 billion inhabitants, succeeds in reaching its ambitious climate targets. 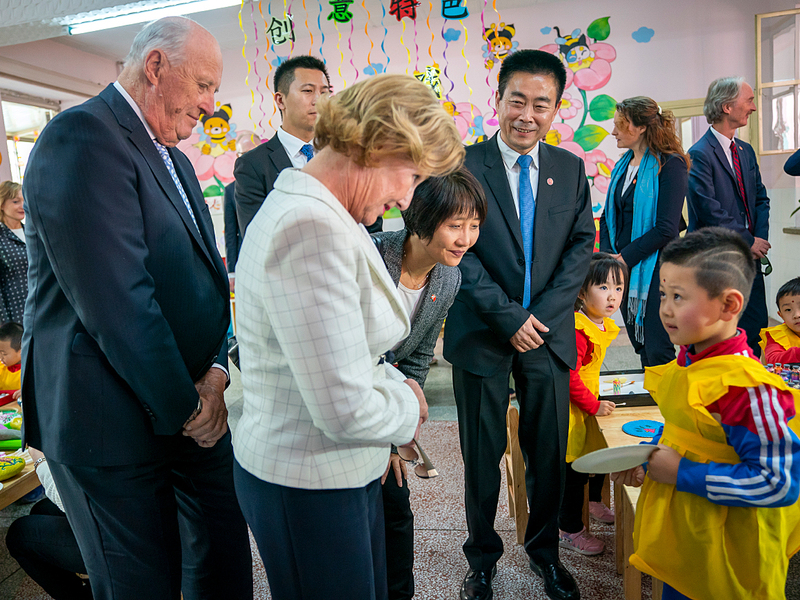 A visit to Dunhuang City Kindergarten was the next stop on the programme. 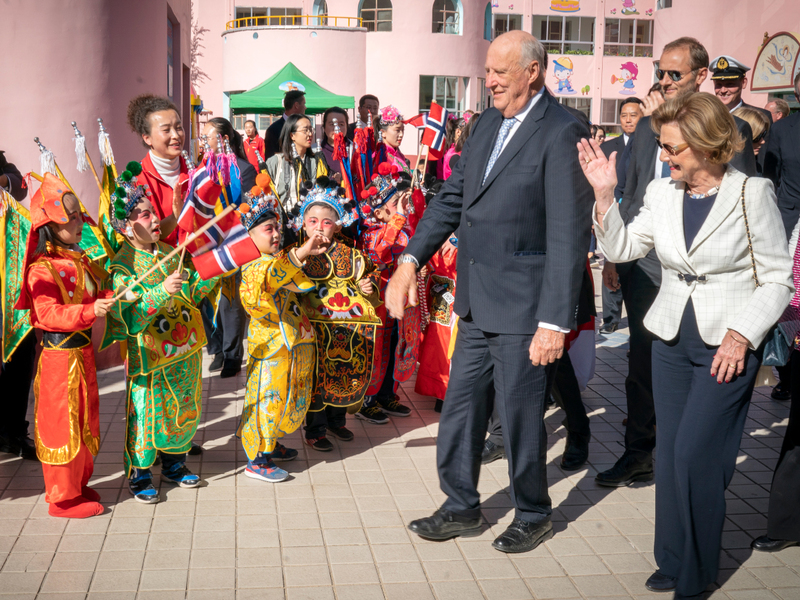 For many years the Western Norway University of Applied Sciences has cooperated extensively with several Chinese universities on quality and teaching in day care centres. The Norwegian university and Beijing Normal University together have been operating a research project in southern Gansu, and today a seminar was held to mark expanded cooperation in the province. Chinese and Norwegian researchers exchanged knowledge, ideas and experience at the seminar. One topic of focus was day care education as a means of promoting gender equality and women’s participation in the workforce. A presentation on the concept of “Education for sustainability” was also given. Sustainable development is relevant not only for the environment but also as an important principle for the development of culture and industry. Dunhuang is six hours ahead of Norway, so it is already evening there. 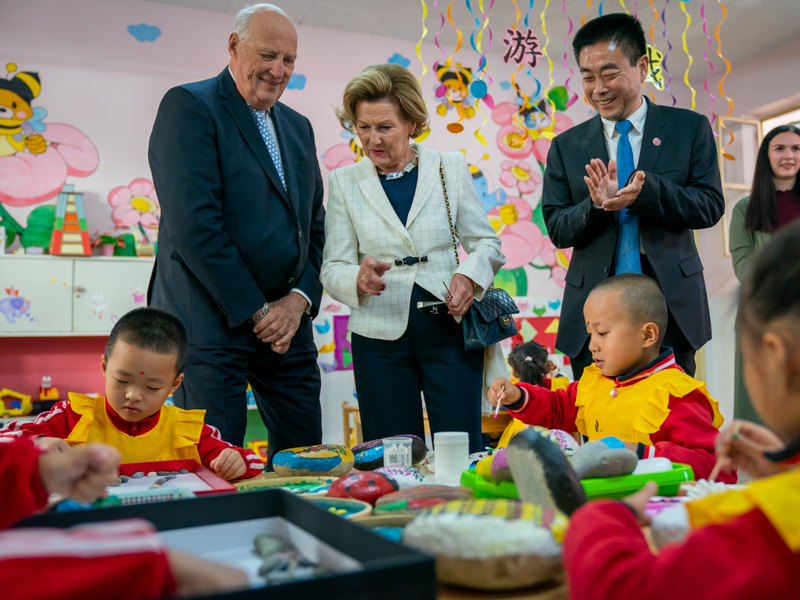 After an introductory meeting, King Harald and Queen Sonja are attending an official dinner with Gansu provincial authorities. Tomorrow’s programme includes the topic of preserving cultural heritage. 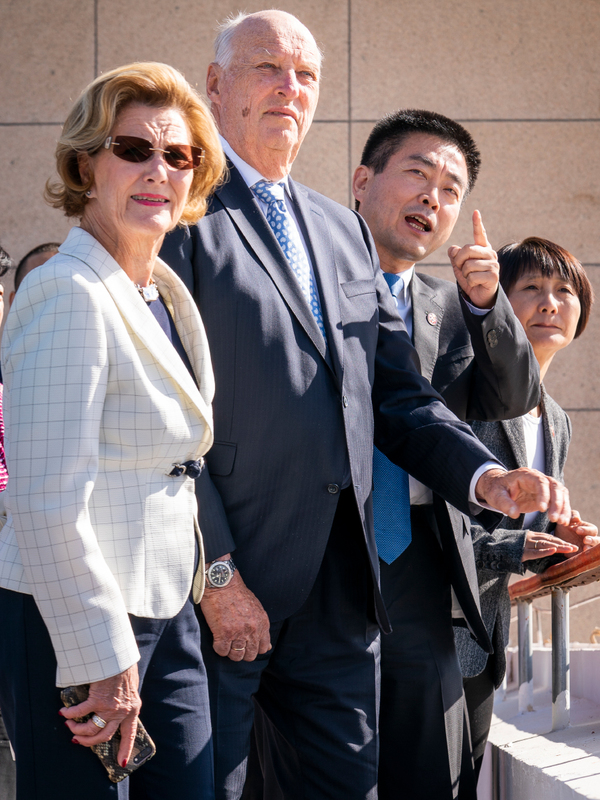 The King and Queen will visit the Mogao Caves, not far from Dunhuang. The caves are on the UNESCO World Heritage List, and hold one of the world’s largest collections of Buddhist art. Tourism is Dunhuang’s main industry, and the city is investing heavily in sustainable development of this sector. Cultural exchange and contact across national borders are a central theme, and in 2016 the Silk Road (Dunhuang) International Cultural Expo was established as an annual event, with a special spotlight on the culture and countries of the ancient Silk Road.